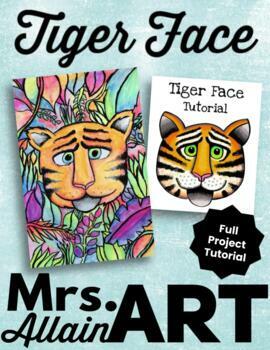 This step-by-step tutorial will help any artist feel confident drawing a cool tiger face. This drawing tutorial contains step-by-step directions as well as high quality color images to assist with the creative process. The directions help provide the basics for design but leave lots of room for creative interpretation.